Buy the Cobra F8 Irons and save 5% on the Cobra F8 Hybrid. 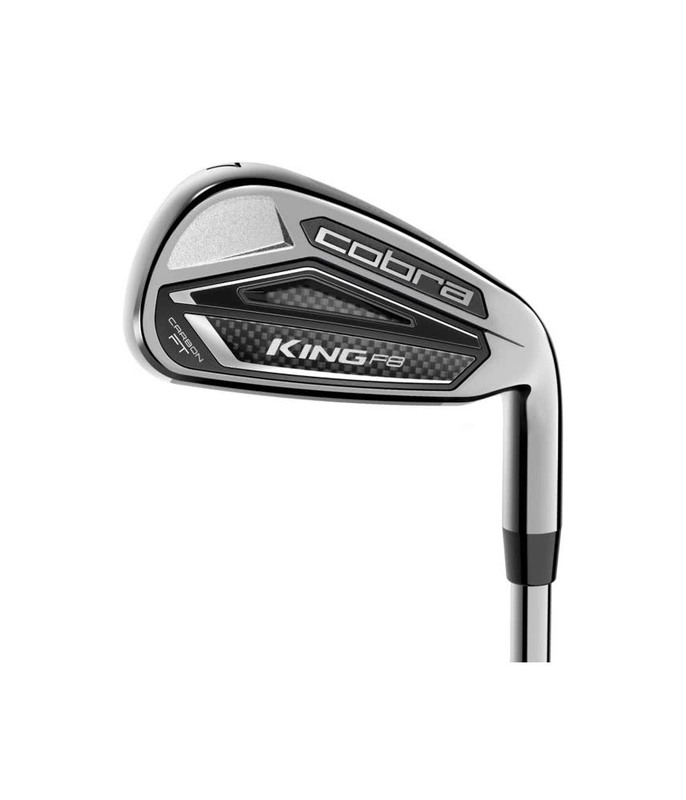 Very pleased with my purchase, clubs give me more confidence at all distances. 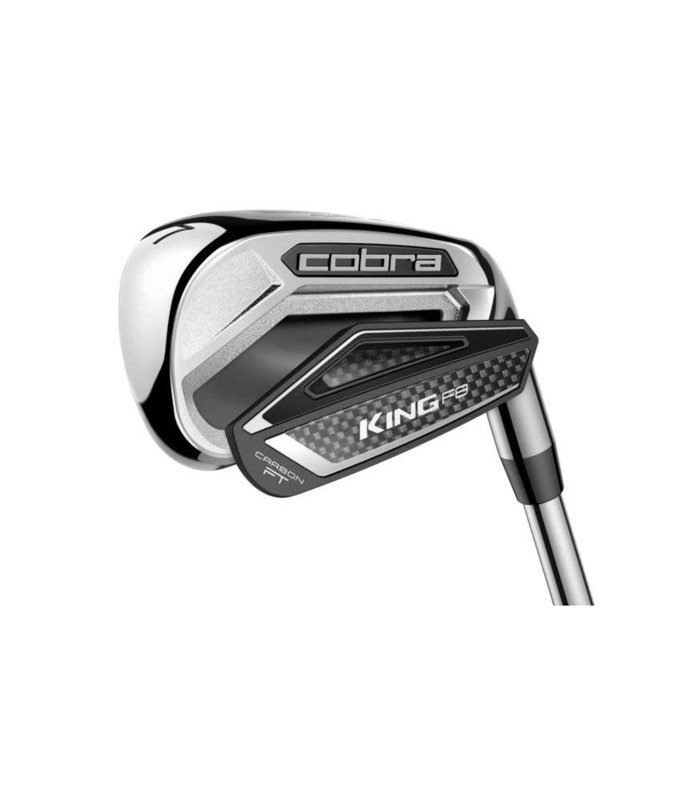 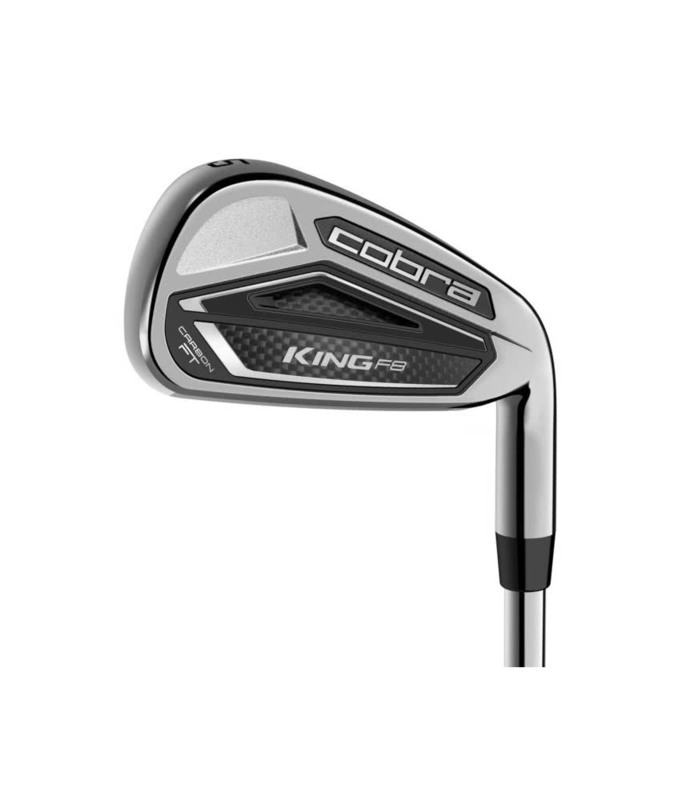 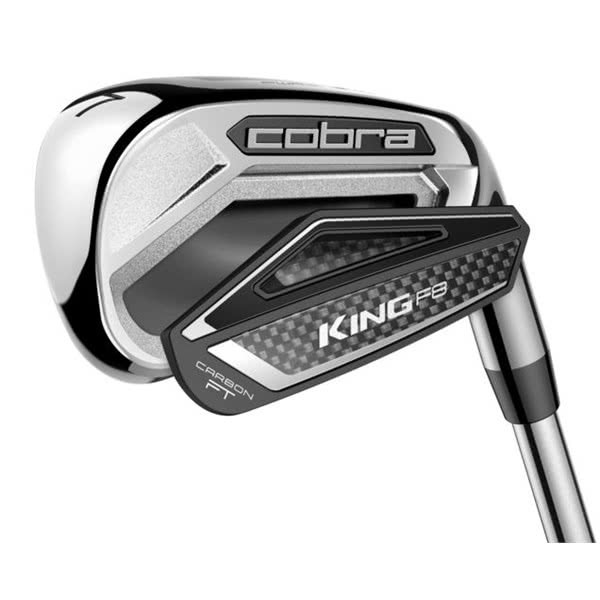 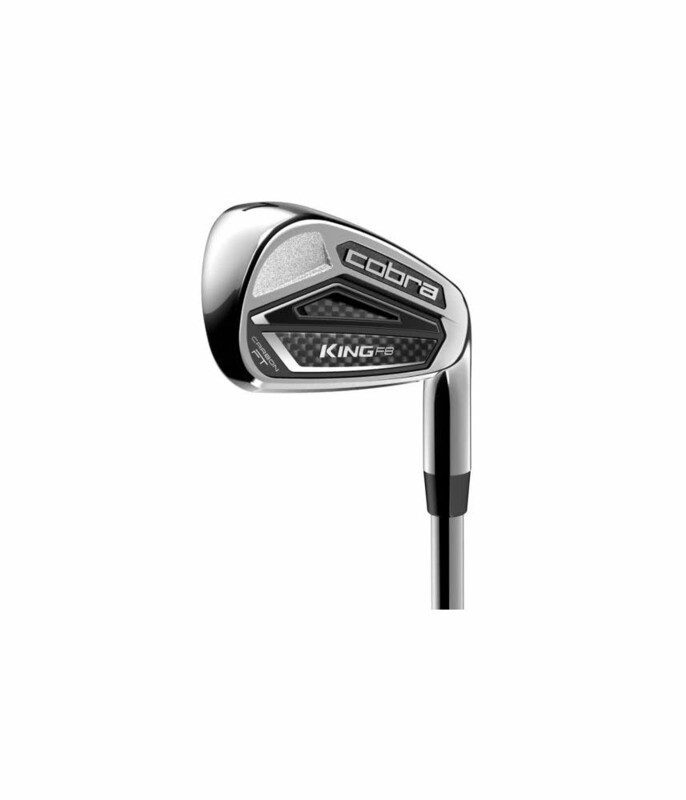 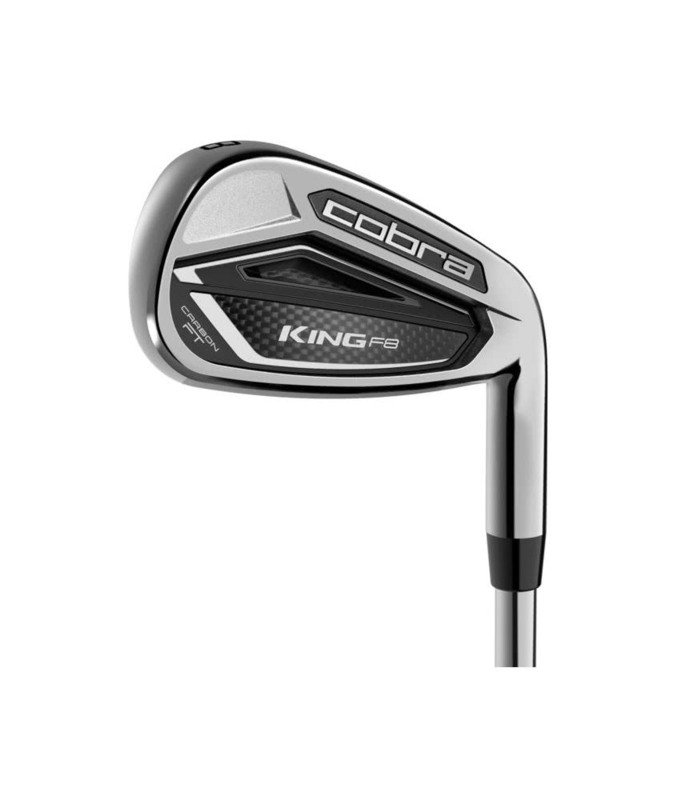 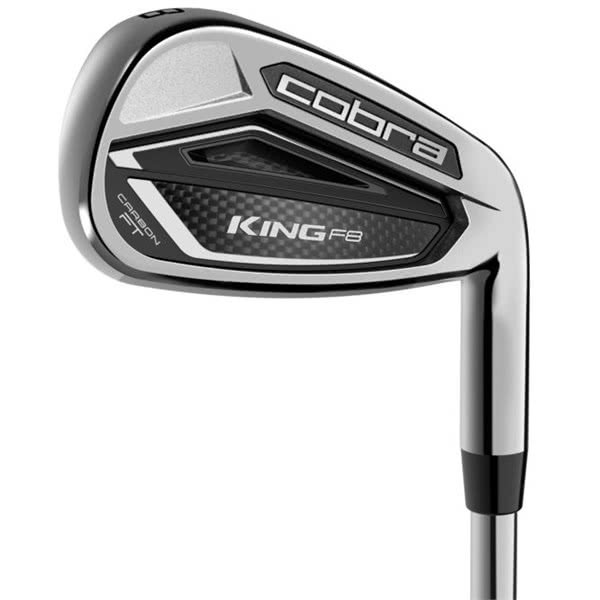 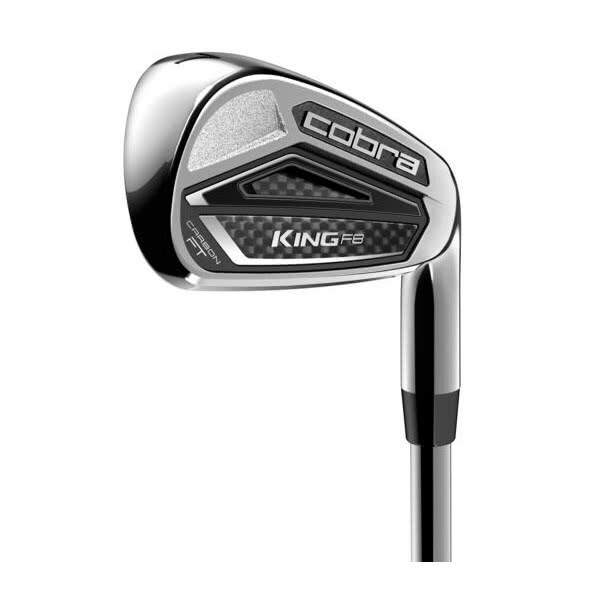 The Cobra King F8 irons have three distinctly different head technologies that make them the ideal progressive set of irons. 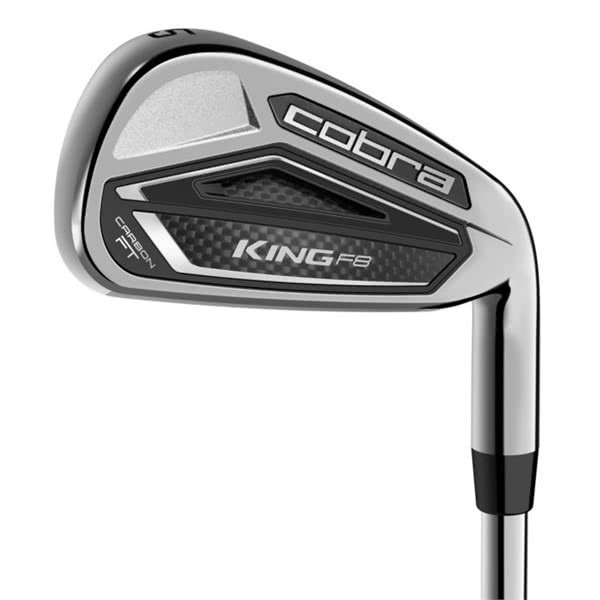 Engineers at Cobra golf have created three heads that position weight, provide the correct trajectories and control as well as consistency according to what every golfer needs throughout their iron set. 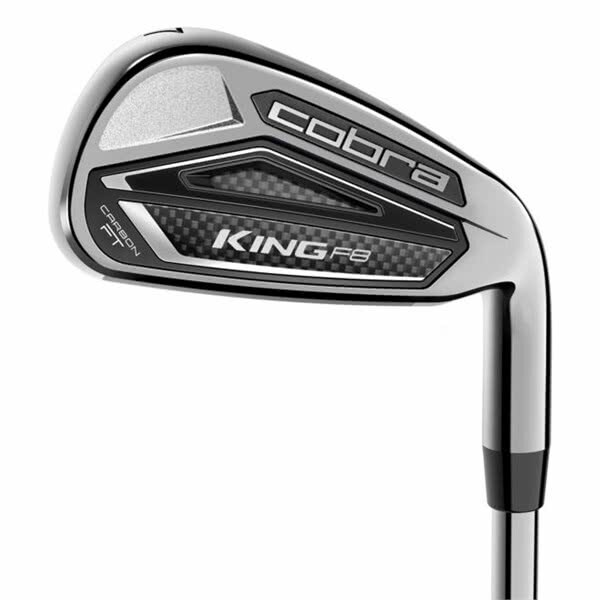 In the long irons you get a hollow headed design that will deliver an easy to launch ball flight with a premium set on distance + accuracy, the mid irons feature a cavity back design that will add forgiveness + control and the short irons feature a non-cavity design for the ultimate shot shaping precision needed to get you close to the pin. 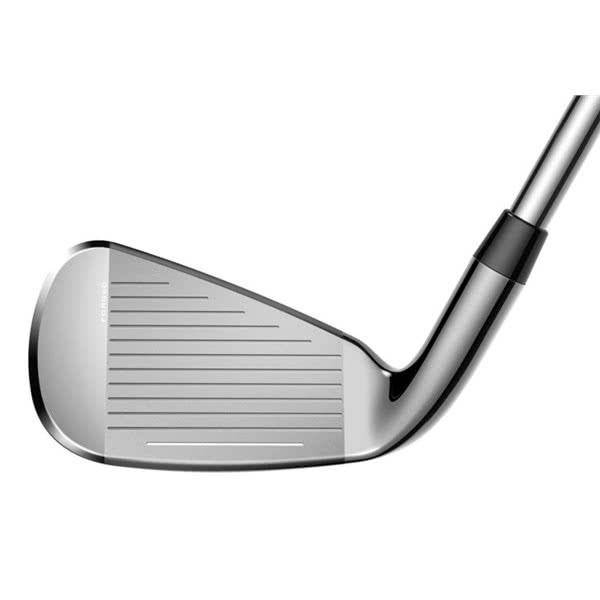 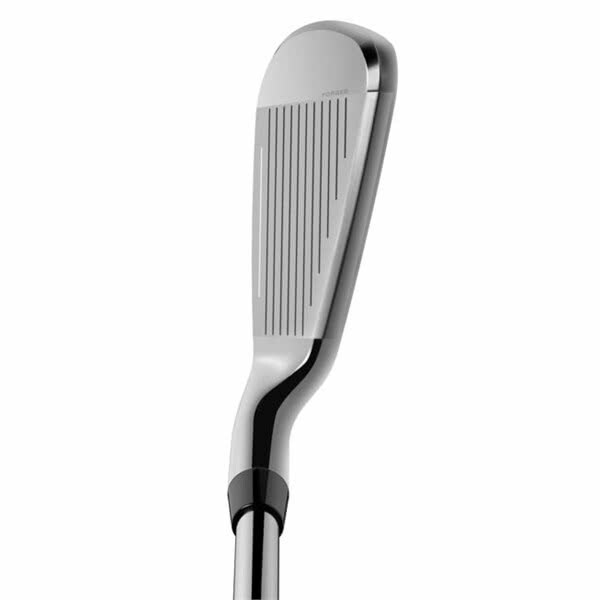 The long-mid iron’s main design focus was about reducing head weight and moving the CG low and deep in the head for added stability and forgiveness, this was achieved by removing steel and replacing it with a carbon medallion. 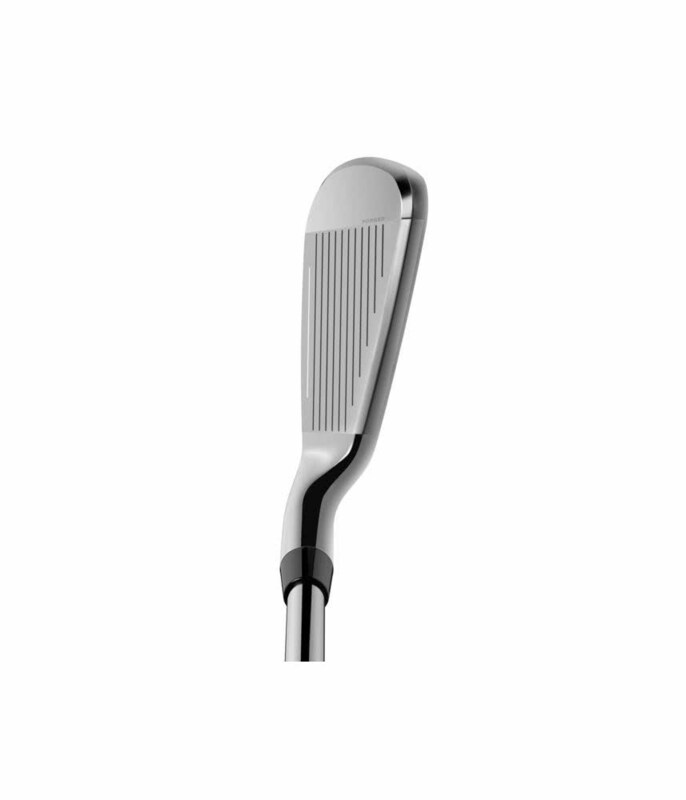 Narrow V-shaped milled grooves have been used on the 4-7 irons to reduce spin and the PWRShell face cup technology has been reduced to give you a more explosive feel off the face as well as consistent distance across the whole face. 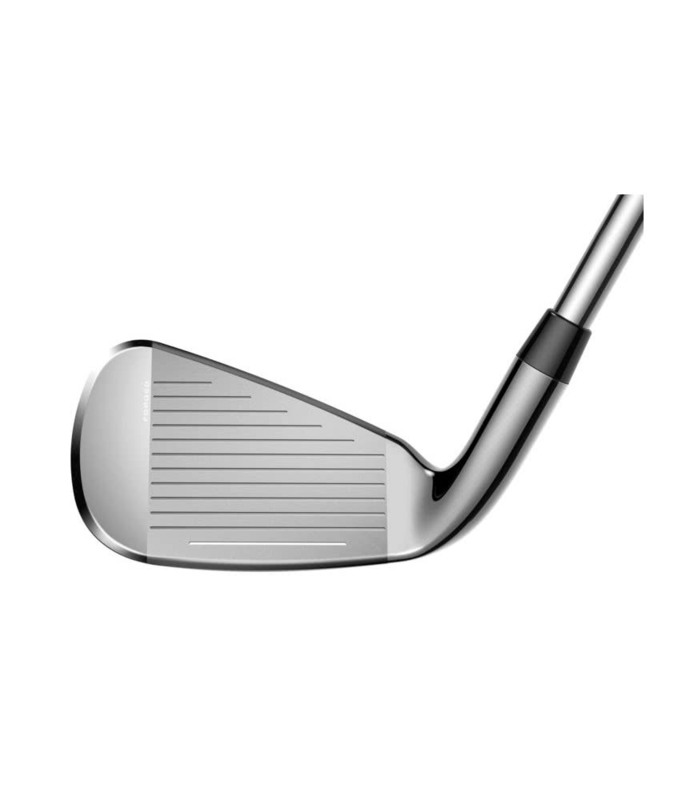 The short irons feature a wider milled U-shaped groove that creates a higher mid CG iron that will allow the ball to come off the face higher up and still achieve the necessary distance control. 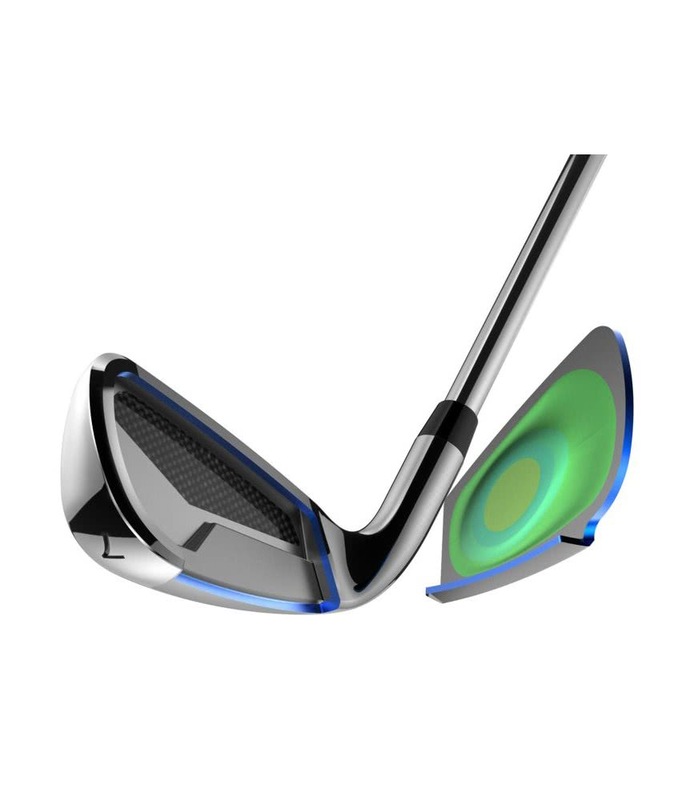 And in the GW, SW and LW the grooves are tighter together to give the ball the extra friction when playing shorter more finesse shots from 100 yards and in. 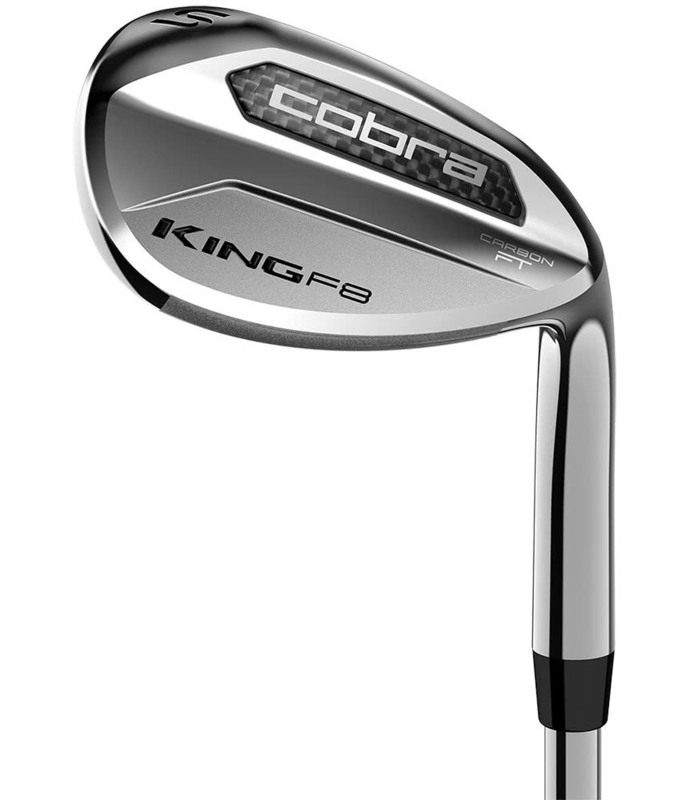 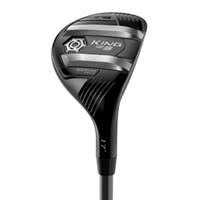 Cobra have fitted the excellent True Temper XP90 steel shaft to the King F8 irons, this particular shaft will help you achieve a mid-high ball flight with mid spin. 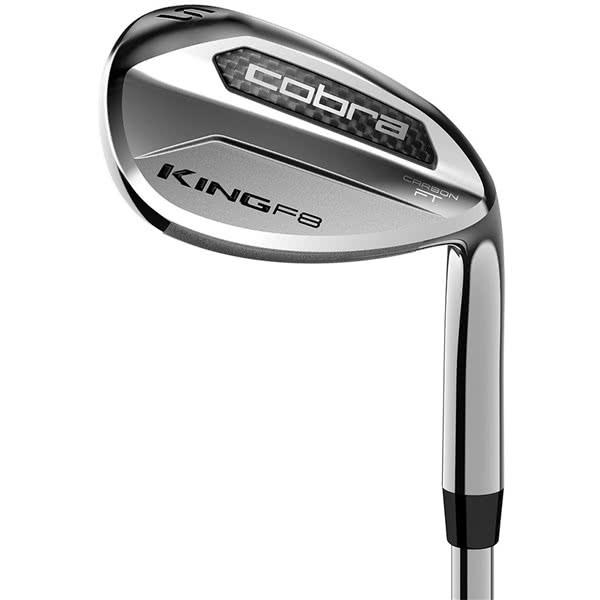 Another bonus from the F8 range is the inclusion of the Cobra Connect. 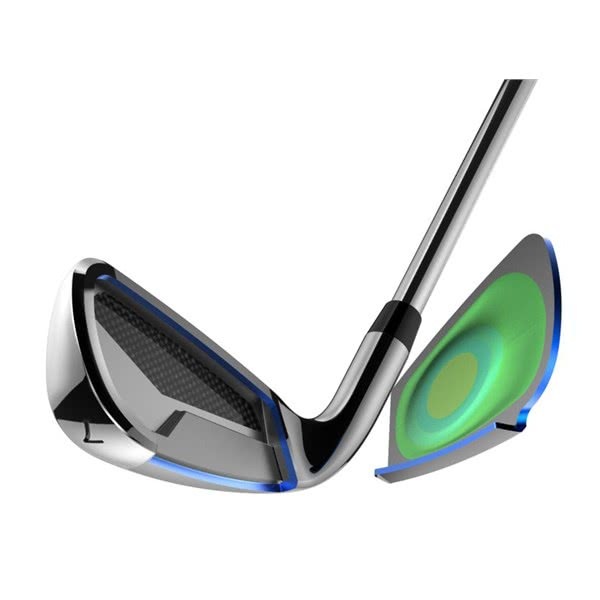 The Connect will allow you to track your shots with this club and with your SmartPhone you will learn more than ever about what your clubs helps you and hinder you with so that you are able to get better and better with it.